Dave Scadden Paddlesports makes some sweet inflatable boats that are designed perfectly for fishing. 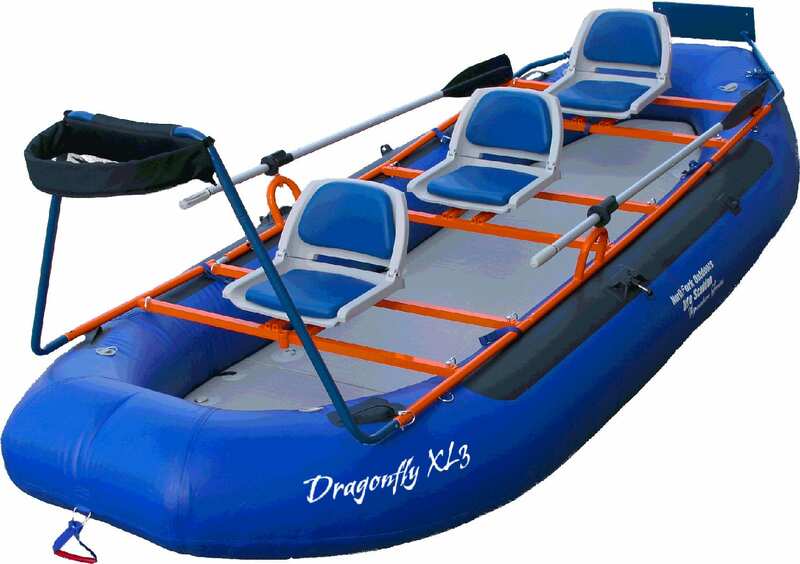 The Dragonfly XL3 is the newest member of Dave’s hugely popular Dragonfly line. Its revolutionary fully rockered rigid floor design takes performance to otherworldly levels. The Dragonfly XL3 comes fully equipped with Dave’s ultra-light 6061 T6 aircraft aluminum frame with a through-the-frame anchor system, built in motor mount and integrated lean bar system. The best part about the new XL3 is it offers drift boat performance and comfort and breaks down and fits in the trunk of your car or SUV in less than 15 minutes.